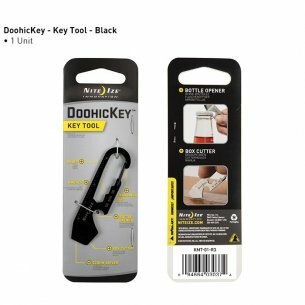 DoohicKey Key Tool (KMT-01-R3) of Nite Ize®. Made of durable stainless steel, the Nite Ize DoohicKey features a half-dozen tools that do everything from tighten bolts and screws to open a bottle of refreshment. DoohicKey Key Tool (KMT-11-R3) of Nite Ize®. 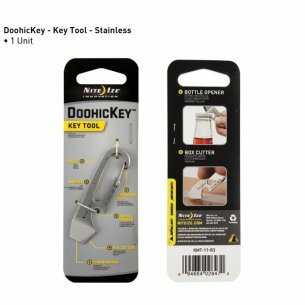 Made of durable stainless steel, the Nite Ize DoohicKey features a half-dozen tools that do everything from tighten bolts and screws to open a bottle of refreshment.